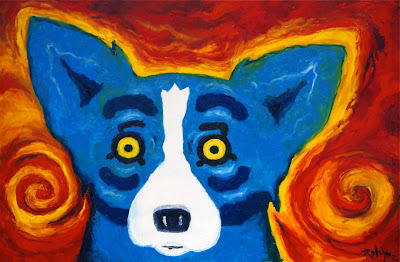 Anyone who knows George Rodrigue describes him as ‘manly.’ He has a deep voice and a large John Wayne-type rib cage; he wears alligator boots and drives a truck; he never misses a football game, and it pains him to attend the ballet or symphony; his favorite movies are The Searchers and High Noon, and his favorite meals are chili dogs and chocolate doughnuts. 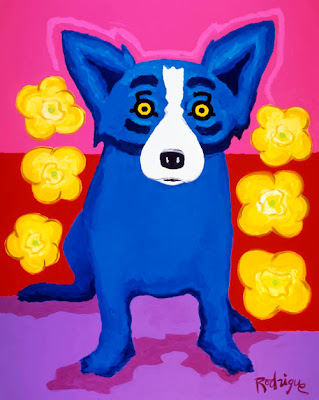 In short, it would be easy to mistake him for ‘macho,’ for someone devoid of a feminine side. 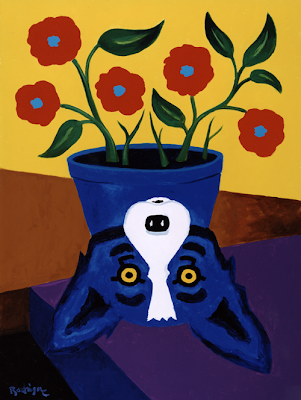 And yet, he paints flowers, hundreds of them, appearing in probably at least one out of every twenty paintings over the past fifteen years. 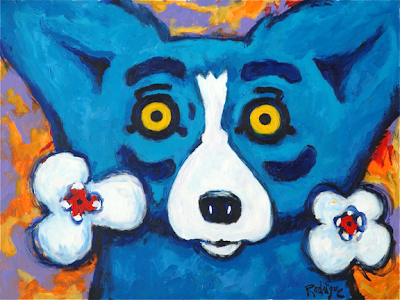 George first painted flowers in his Cajun works. 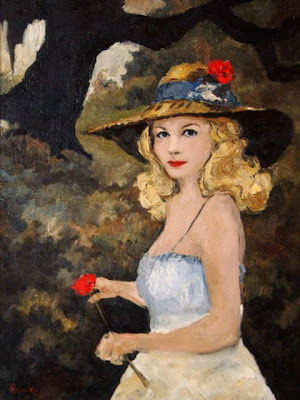 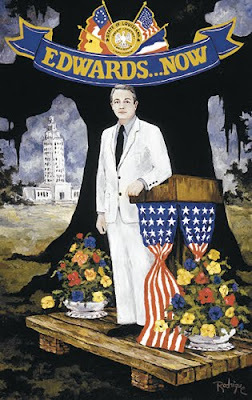 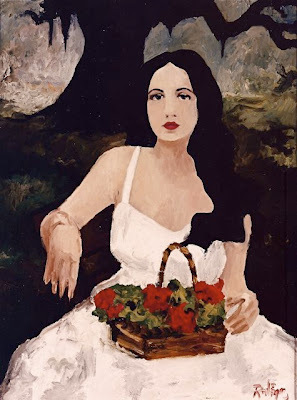 These include Evangeline on the Azalea Trail, Jolie Blonde picking roses, or decorative elements in festival posters and portraits, such as his painting of former Louisiana Governor Edwin Edwards. 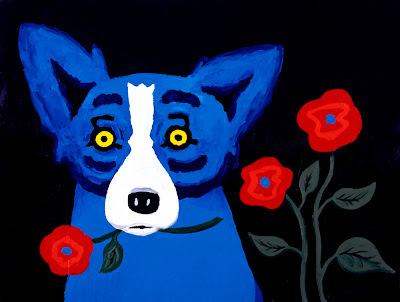 However, he wasn’t as fond of painting flowers in those days as he is today. 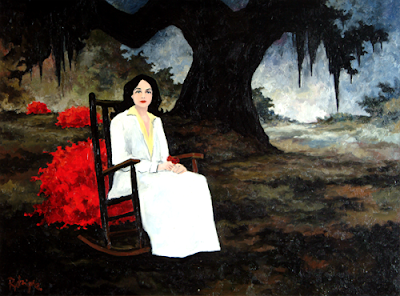 In the Cajun works, the flowers referred to something in nature, something in South Louisiana, and George struggled with the native plants, especially azalea bushes, which easily shifted to an indistinguishable mass of color on canvas. 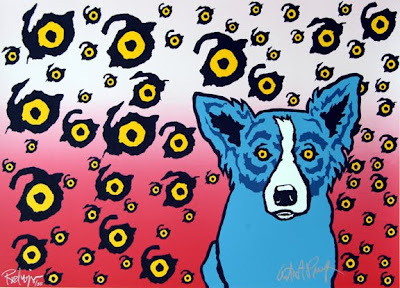 Whereas the flowers reference the eyes and seeing, the swirl is even more abstract in its concept, relating to the cosmos, the universe, or even a hurricane. 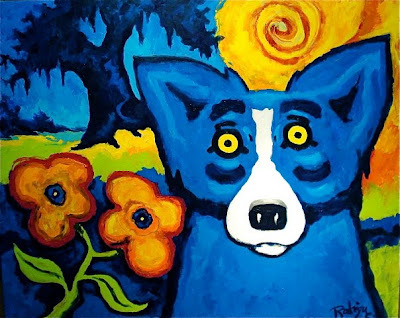 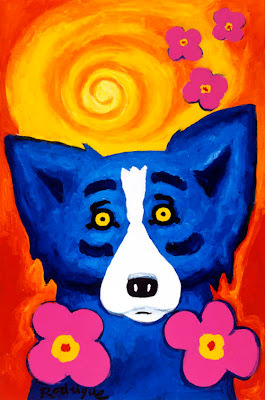 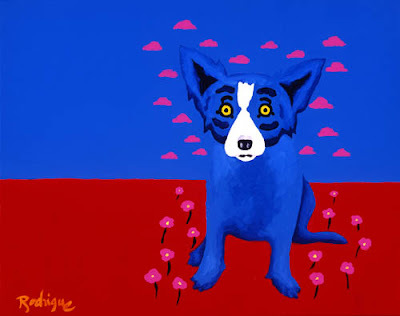 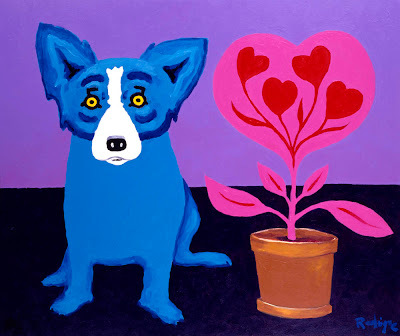 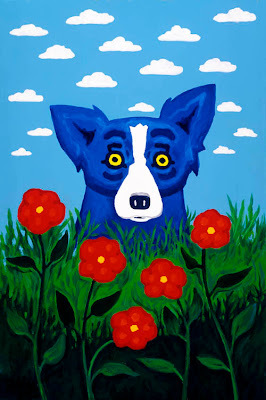 As we all know, George Rodrigue loves color. 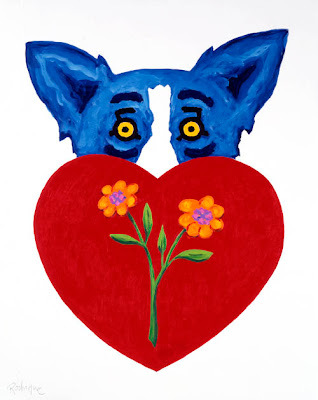 Without a doubt, there is something endearing about this otherwise masculine and burly guy filling his canvas with flowers, hearts, and the color pink. 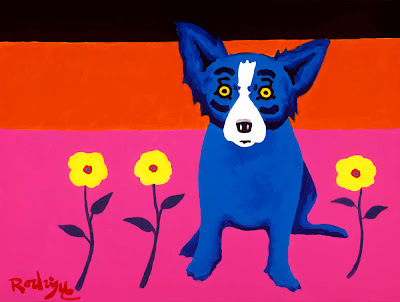 Every day with George must be an adventure.